The Wilcox Law Firm exclusively limits its practice to representing drivers accused of Driving Under the Influence (DUI). If you have been arrested for a Tampa DUI, call for help (855) THE-DUI-GUY (855-843-3844) TODAY. Get your complimentary copy of “The No B.S. 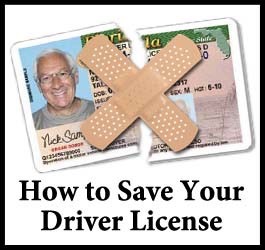 Guide to Surviving Your Florida DUI.” In this consumer guide, you’ll learn how to improve your chances of getting your license back and winning your DUI. If you took a breath test, you may be wondering, “Are those results accurate? What should my BAC actually have been?” Use the BAC calculator on this page to approximate what your breath alcohol level should have been and see whether there’s a problem with the Intoxilyzer 8000 results. Get instant answers and a quick summary of your current situation using this free online DUI case evaluation tool. You’ll discover what type of license suspension you’re facing, how serious the prosecutor will treat your case, and also discover some of the potential defenses that may be available in your case and how you may be able to avoid a DUI conviction. Was your license suspended because you were arrested for a Tampa DUI? Don’t worry – you may be eligible to get a temporary work permit! Use this free online license suspension evaluator to determine if you qualify to get a work permit. Hiring a Tampa DUI defense attorney may be the most important decision you make. Learn what questions you MUST ask before hiring any DUI lawyer. 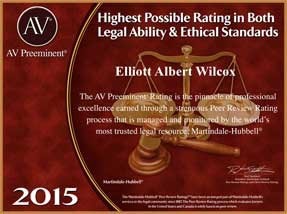 Learn how Tampa DUI attorney Elliott Wilcox can help you defend your DUI, and what separates him from other Tampa DUI lawyers. If you’ve been arrested for DUI, contact a Tampa DUI defense lawyer today to help you with your Tampa DUI. How much does a Tampa DUI Lawyer cost? If you’re convicted of a Tampa DUI, the “hidden cost” of a DUI can be crippling. Discover the hidden costs of a Tampa DUI conviction (and how to avoid them). Some lawyers “dabble” in DUI defense, while others dedicate their entire practice to DUI. Learn why I dedicate 100% of my practice to defending DUI cases. Most lawyers don’t make guarantees, but I do. In this section, discover what guarantees we can make about how your case will be handled.